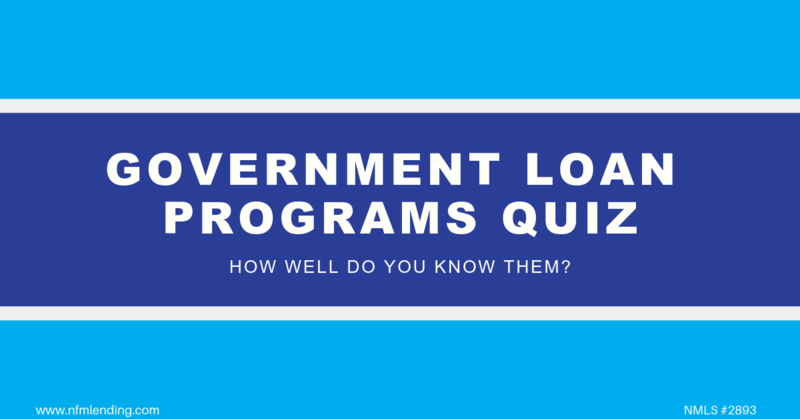 How Well Do You Know Government Loan Programs? 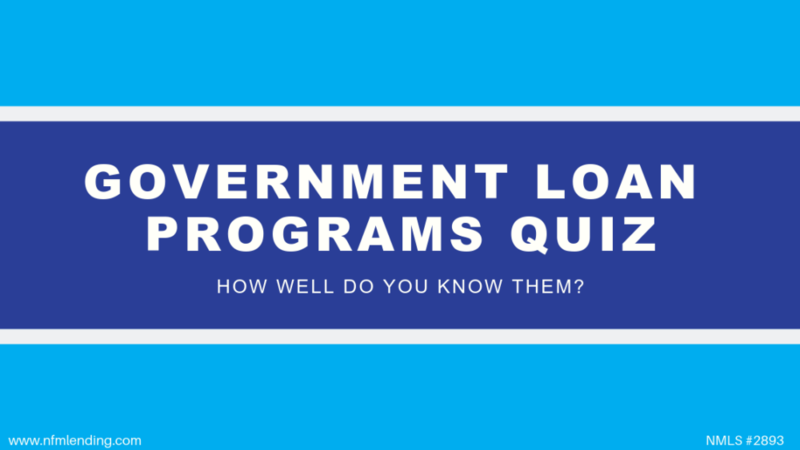 Think you know the government loan programs? See how many of the questions below you can answer! Which loan considers area requirements, such as the population and development? Which loan is most popular with low-income and first-time home buyers, due to the less stringent requirements? True or False: USDA loans don’t require a minimum down payment. Which program was introduced by the Servicemen’s Readjustment Act? Which loan can borrowers receive up to 100% financing? Which loan requires the borrower to pay Mortgage Insurance Premium (MIP) or Guaranty Fee in addition to monthly mortgage payments? True or False: The surviving unmarried spouse of a deceased Veteran is not eligible for a VA loan. Which loan allows for down payment assistance provided as a gift by a family member, employer, or charitable organization? What might a VA loan require the borrower to pay to reduce the cost of the loan to taxpayers? True or False: Home buyers who do not qualify for a conventional mortgage may be able to purchase a home with a USDA loan.